The world hates the Church that Jesus founded, just as He said it would (John 15:18). It reviles her doctrines, mocks her moral teachings and invents lies about her history. 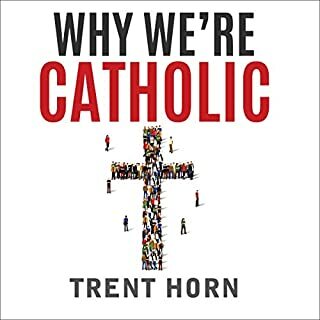 In every age, but especially in our modern day, historians and political powers have distorted the facts about her past (or just made up novel falsehoods from scratch) to make the Church, and the civilization it fostered, seem corrupt, backward, or simply evil. Being a Catholic hipster is all about an attitude - an attitude grounded in being part of a countercultural community of believers dedicated to something bigger than themselves in a world dominated by self-centeredness. It’s about yearning to learn more about the faith by seeking out “Catholic cool” - overlooked saints, forgotten prayers and feast days, and traditional practices long set aside by mainstream believers. The Catholic Hipster Handbook will help listeners realize the only way to go against what’s normal and accepted in the culture is to be authentically Catholic. Like it or not, you are at war. You face a powerful enemy out to destroy you. You live on the battlefield, so you can't escape the conflict. It's a spiritual war with crucial consequences in your everyday life, and its outcome will determine your eternal destiny. You must engage the enemy. And, as you fight, you need a manual for spiritual warfare. This guide for spiritual warriors will help you recognize, resist, and overcome the devil's attacks. Jesse Romero believes that Catholics are called to radically live their faith, not just study it, talk about it, and hide their light under a bushel. For those who find themselves living in a kind of spiritual coma, Jesse jolts them out of that lukewarm, tepid state. Instead of passively allowing circumstances wash over you, Catholics, Wake Up! shows you how to claim every situation for the Lord. We are called to be spiritual warriors, and are meant to triumph with God's strength over life's difficulties. 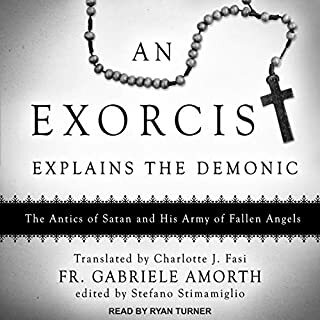 Narrated by: Fr. Daniel P. Barron O.M.V. St. Ignatius Loyola, founder of the Jesuits, is one of the most influential spiritual leaders of all time, yet many people find his Rules for Discernment hard to understand. What can Ignatius teach us about the discernment of spirits that lies at the very heart of Christian life? In The Discernment of Spirits, Fr. Timothy Gallagher, a talented teacher, retreat leader, and scholar, helps us understand the rules and how their insights are essential for our spiritual growth today. Countless Christians, including scores of saints, have suffered the profound, pervasive sorrow that modern psychiatrists call depression. Then, as now, great faith and even fervent spiritual practices have generally failed to ease this wearying desolation of the soul. 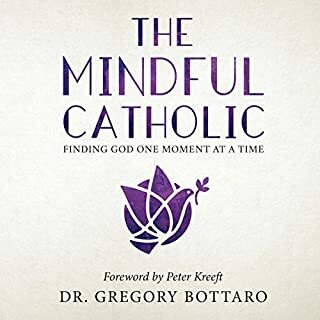 Catholic psychiatrist Aaron Kheriaty reviews the effective ways that have recently been devised to deal with this grave and sometimes deadly affliction - ways that are not only consistent with the teachings of the Church but even rooted in many of those teachings. Extensive clinical experience in treating patients with depression has shown Dr. Kheriaty that the confessional can't cure neuroses, nor can the couch forgive sin. Healing comes only when we integrate the legitimate discoveries of modern psychology and pharmacology with spiritual direction and the sacraments, giving particular attention to the wisdom of the Church fathers and the saints. Here, with the expert help of Dr. Kheriaty, you'll learn how to distinguish depression from similar-looking but fundamentally different mental states, such as guilt, sloth, the darkness of sin, and the sublime desolation called the "dark night of the soul" that is, in fact, a privileged spiritual trial sent to good souls as a special gift from God. You'll come to know how to identify the various types of depression and come to understand the interplay of their often manifold causes - biological, psychological, behavioral, cultural, and, yes, moral. Then you'll learn about exciting breakthroughs in pharmacological and other medical treatments, the benefits and limitations of psychotherapy, the critical place that spiritual direction must have in your healing, and the vital role that Christian hope can play in driving out depression. Dr Kheriarty grounds the reader upfront about the somatic, social, and serious psychological cause and effects of depression. Never does he allude to a "just pray" mode of healing, and yet, with a courage so seldom seen in his discipline of medicine, he embraces, guides, and exhorts the critically placed fulcrum of spiritual maturity and efficacy. This book opens up possibilities, especially for those who serve the wounded. Cognitive-behavioral therapy can take on a new depth of intervention by integration of spirituality. Dr Kheriarty praises Dr Beck et al alongside St Augustine and St Therese de Liseaux. This volume expands the heart and mind of all who read it. I was skeptical when I bought this audiobook on depression. But I was so suprised by the depth of the knowledge in both psychiatry and traditional Catholicism when I started the book. 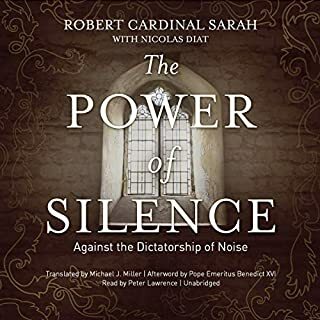 I am a catholic physician who has some experience with the topic of depression, after hearing this book, my understanding of both the disease and treatment through the great spiritual directors of the past has increased tremendously! 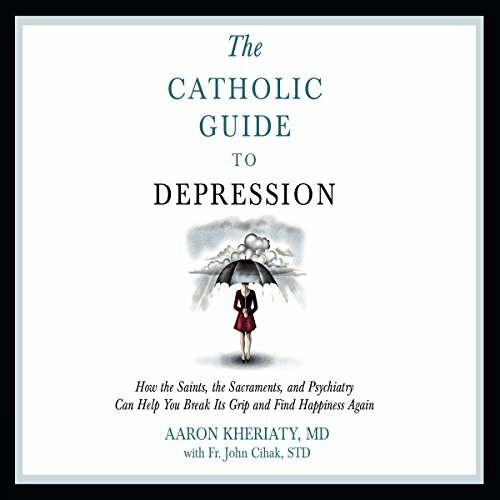 I highly recommend it to all catholics who wants to understand depression better. As one who struggles with faith, doubt, hope, occasional nihilism, and many of the psychological, spiritual, and mental issues addressed in this book, I can certainly recommend this book. This is a balanced book, drawing upon both Christian wisdom and medical and scientific knowledge in order to address the malady of depression. It offers valuable insights into the causes and contributing factors of depression, and gives the sufferer much in the way of sound advice and encouragement for dealing with it. Catholics who suffer depression will get the most out of this book, but much it contains can be applied, I think, to people on other paths. Understanding how faith and depression can intertwine but is never an evil given by God. Depression is becoming an epidemic in the USA. This book is a great help to understand this disease and ways to find a cure or how to live with its effects. 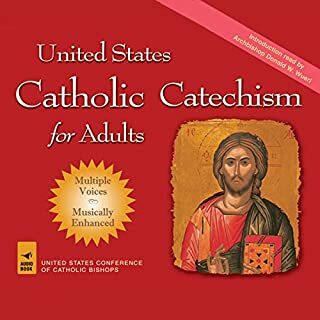 This is an important book for Catholic Christians. It has a good anthropological understanding. It's an important book for pastoral care providers, as it emphasizes the need for holistic care of the human person, which includes their spiritual health along with the common treatment for depression nowadays. It helps to put everything in perspective mentally, emotionally and spiritually... Thank you Dr. Aaron Kheriaty for such an amazing book! I had hoped that this book would give more insight as to how to handle depression without medication. I have a Masters degree in Clinical Art Therapy and many many hours of study and training in Counseling. I learned all of this in grad programs. I hoped it would inspire me to with more information about HOPE in Gods Strength and Jesus TEACHINGS to help me get through my own depression. I was very disappointed in the book. I don't see it helping the average uneducated person. Nevertheless, thank you for trying. I really like the chapter on hope. There was meaty pertinent discussion around the topic, and not like I’ve found in other psychology self helps on happiness.This is a well written book with particularly useful reflections on how from a Catholic perspective one can live and get past depression, with reference to great texts/speeches from Pope John Paul II and some of the saints lives. There are also more medicalised chapters on therapy, depression and anxiety. Overall I’ve found this very helpful and will return again to many of the spiritual chapters.